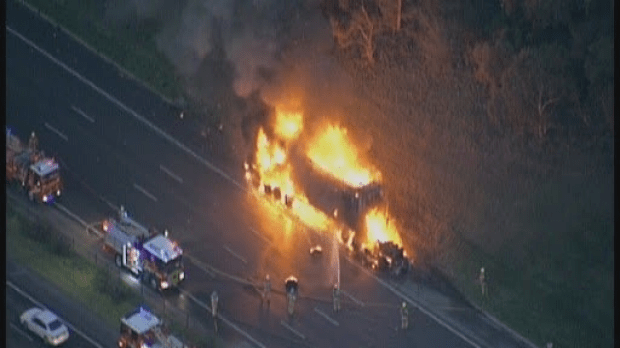 Truck fire closes Monash Freeway..
A truck fire on the Monash Freeway at Springvale Road has caused traffic chaos in the peak hour. The truck was fully engulfed by flames around 7am. Emergency crews are on scene, the fire is now under control.